Forget something you need for your big move? Midgard Self Storage is stocked with quality supplies for anything you might have forgot. It doesn’t matter what supplies you need, we’ve got you covered. From boxes to tarps, covers, blankets, moving boxes, packing tape and dispensers we have it all stocked. Our knowledgeable staff is happy to assist you with selecting the ideal moving and packing supplies, and our self-storage has complete inventories to accommodate any supplies you may need. 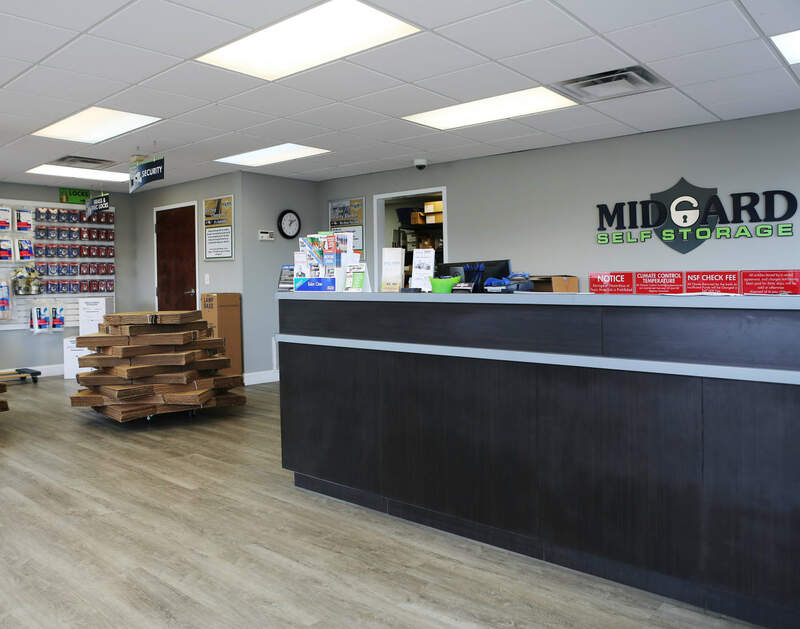 Midgard Self Storage also provides flatbed carts and dollies to ease the stress of moving within our facility, so you can rest assured knowing you’ll have stress-free mobility onsite. Need packing supplies for your move today? Stop by, we are happy to help you. Save yourself time and gas and get everything you need here at Midgard Self Storage, Fort Myers, FL. For more information on our superior Fort Myers storage facility, visit the Features page.